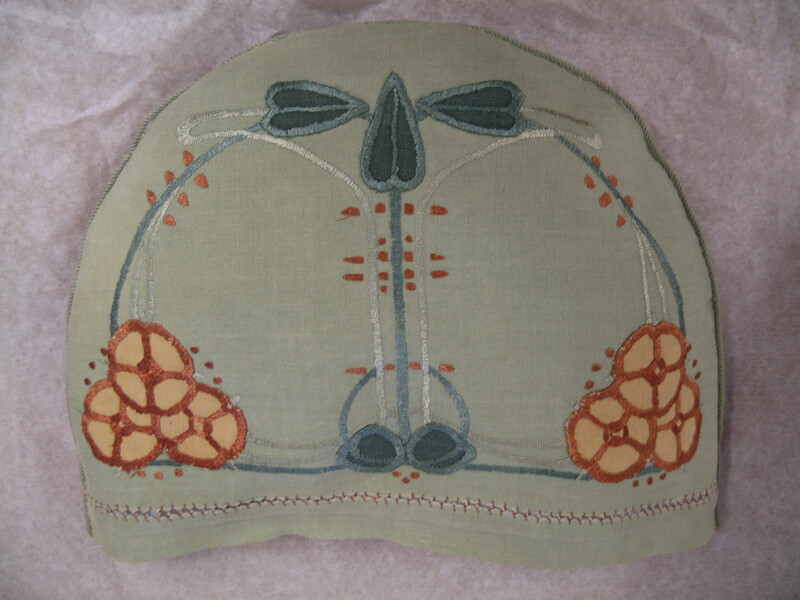 Volunteer Karen Harkness writes about her recent work on the extensive GSA Archives Textile Collection. My latest project at the Glasgow School of Art Archives and Collections involves the assessment of a range of textile items including needlework, costumes, Art School uniforms, printed textiles and even an embroidered Eskimo doll! 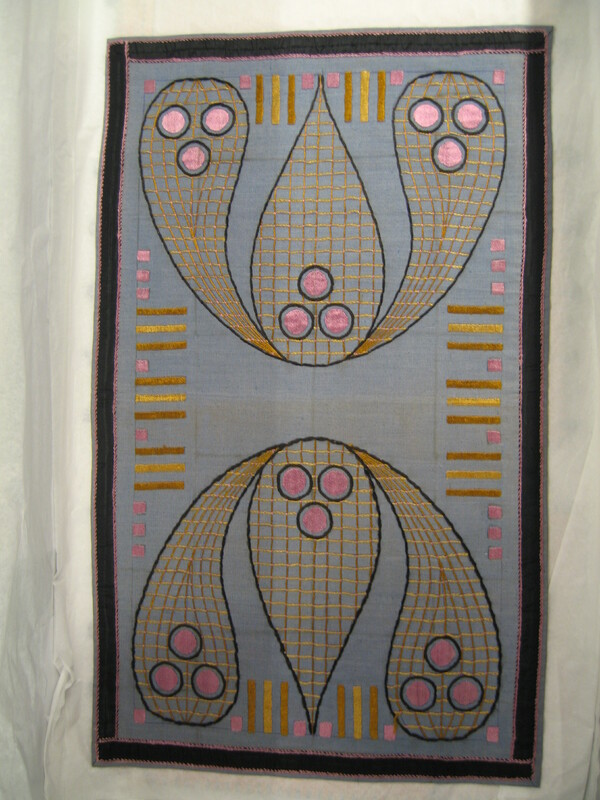 The Glasgow School of Art holds a number of textile artworks made by former students, staff or associates of the Art School including Ann MacBeth and Daisy McGlashan, as well as more recent key figures, Kath Whyte and Robert Stewart. 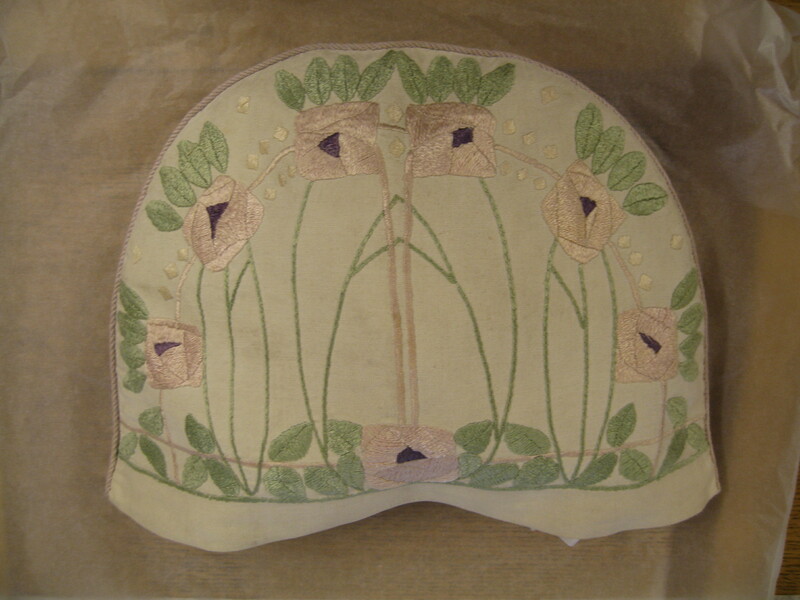 The aim of this project is to research and enhance the documentation of textile artefacts held within the GSA’s collections. It has provided useful hands-on experience of examining and photographing textile items, which has been important in support of my MSc. 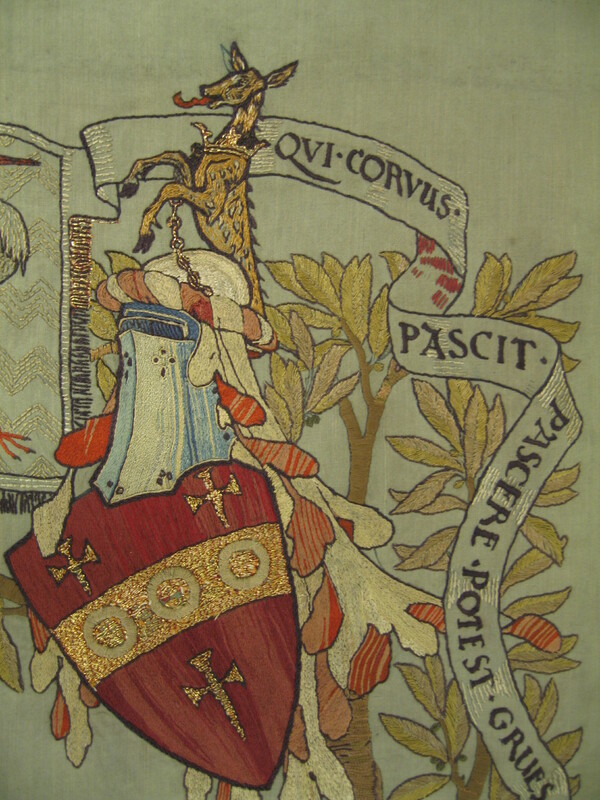 Museum Studies: Dress and Textile Histories course at The University of Glasgow. 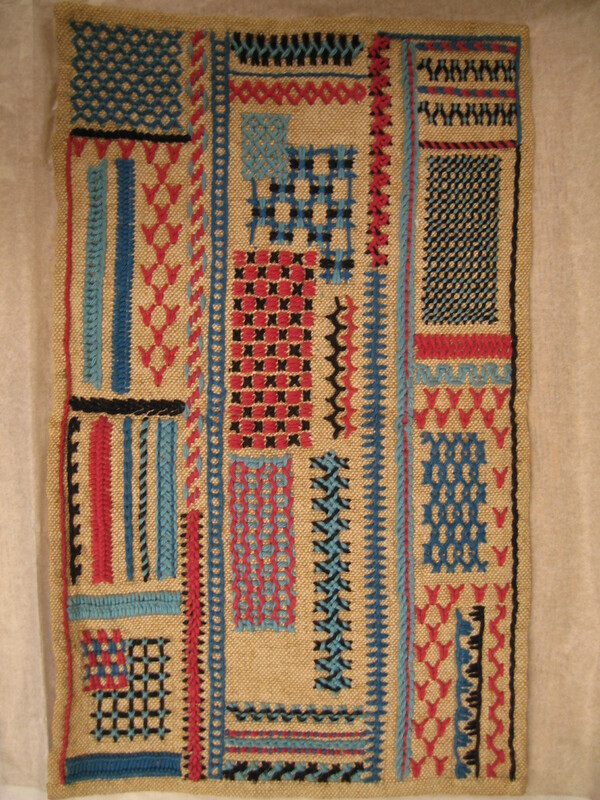 The research of these items has provided a valuable insight into the Art School’s textile collections, the materials used and the techniques involved in their creation. The project has helped me to discover items I had never seen before, including an unusual yet highly engaging Eskimo doll complete with snowshoes, a matching bag and a baby holding a fish! Dating to 1956, the doll is made of a heavy woollen fabric and features tan coloured shoes and gloves. 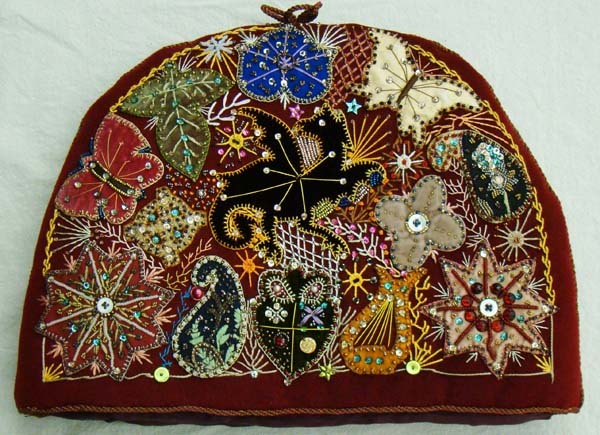 It is embroidered with coloured threads and the fish is decorated with white pearlescent sequins. This intriguing set has an unknown origin and history, and part of my role is to discover information to add to the archive’s online catalogue. A featured dress stored at GSA archives was worn by Miss Cranston c1900-1910. 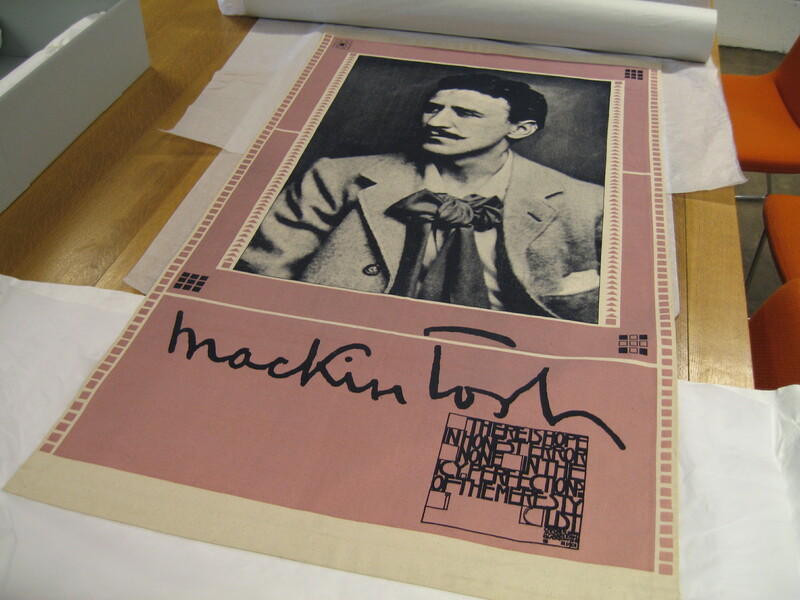 Her blue silk dress with a pink and floral design was donated by The Mackintosh Tea Rooms. Below is a fantastic image of Miss Cranston wearing the dress and the original photograph is also on display at The Mackintosh House at Glasgow University. Another interesting collection includes a number of GSA School uniforms which were worn in the early to mid-20th century. As a recent GSA Painting & Printmaking graduate, I was surprised to discover that students wore uniforms from a practical point of view. Today, students often wear overalls to work and can be identifiable by paint and ink stained clothes! It is possible however, that these uniforms were only worn at specific events. The items include heavy woollen blazers in cream and black, which feature the Art School’s emblem, a GSA school tie and a similarly designed scarf with a green striped design on a navy background. A number of Glasgow University students of today identify themselves wearing University hoodies and bags. In comparison, I did not see any University clothing worn by art students at my time at GSA, which is perhaps a result of varying fashions, individual styles, or as they are simply unavailable to buy.